With features and proportions that make it instantly recognisable, NEW CITROËN C3 has an optimistic presence and personality. Its strong, raised face and fluid curves, chunky side details and bold graphic elements encapsulate energy and refinement in one fresh, contemporary shape. NEW CITROËN C3 is filled with innovative technology that is intuitive, simple and seamlessly quick. Every advance is there to fit right into your routine and enhance the everyday. 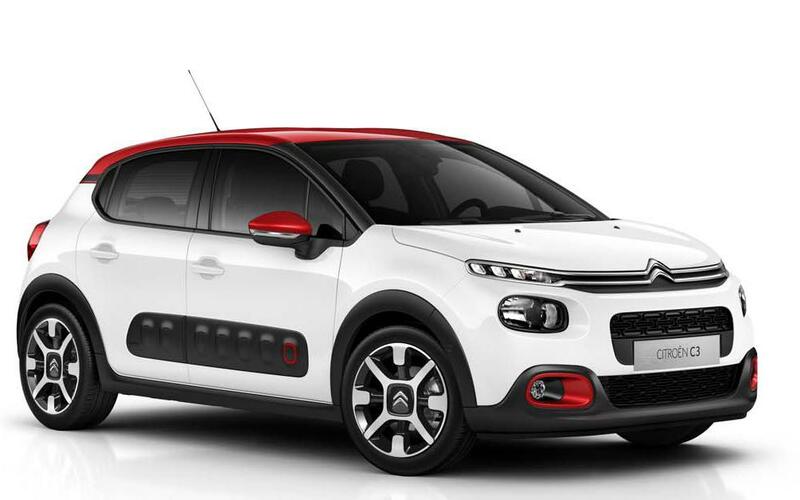 NEW CITROËN C3 features a choice of the very latest PureTech petrol and BlueHDi diesel engines. Whichever suits you best, you’ll enjoy a fine balance between economy, efficiency and go-anywhere performance. With petrol power there’s three cylinder PureTech 68, 82 and 110 Stop & Start engines, whilst the diesel range includes Blue HDi 75 and 100 with Stop & Start.